Galleri Riis Stockholm is proud to present our first exhibition with the Norwegian artist Morten Andenæs (b. 1979), enclosed circuit x.
enclosed circuit x is a variation on Andenæs' exhibition enclosed circuit which was held at Galleri Riis Oslo March 2013. 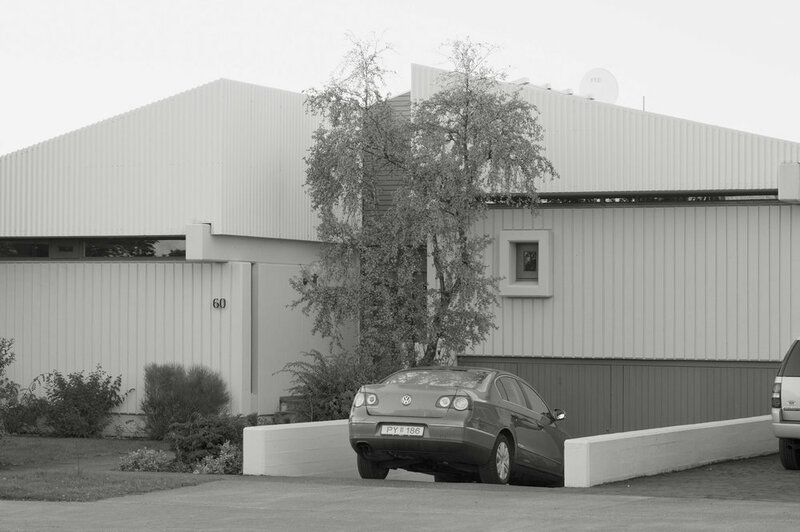 The works in this exhibition all stem from Andenæs' ongoing project Regarding the Middle Class, which thematically deals with the limitations, both in terms of responsibilities and "freedoms", imposed on the individual from family and society. 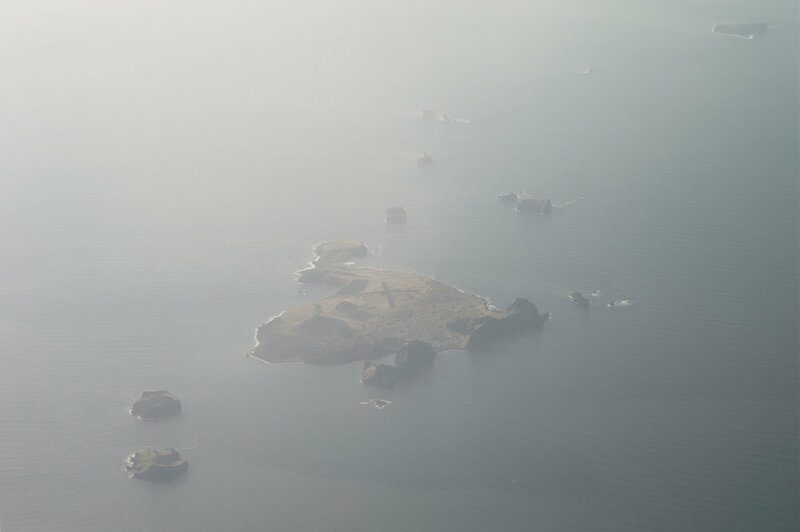 enclosed circuit x revolves around markers of identity, the generic and the space of mental projections as these pertain to fundamental issues of photographic representation. The x in the title functions as something which has the potential to both obliterate and act as a substitution, and could refer to an axis, the unknown or the generic as in 'person x'. The works presented here question and expand upon photography's potential role in the creation and fixing of identity. 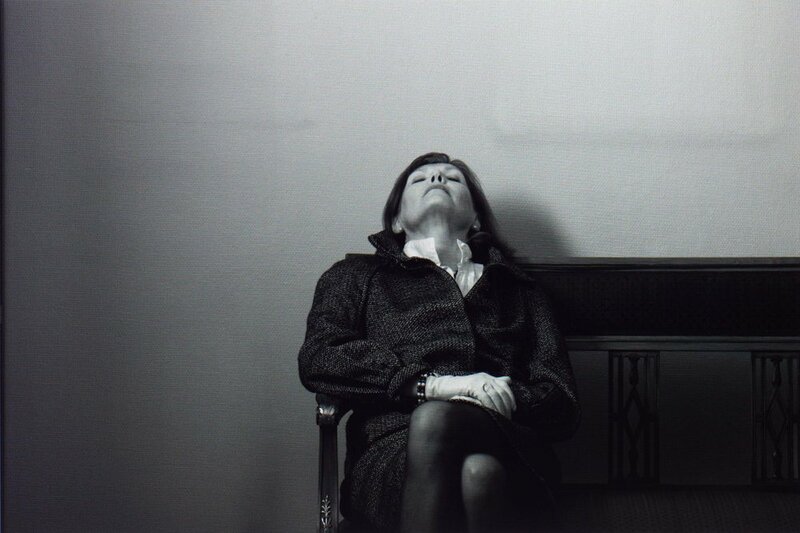 In this exhibition, the suite Nina (infant) can be viewed as an example of how the photograph points to both the particular and the universal at the same time. Besides the two images of baby Nina, the triptych also contains a blank image, a photographic monochrome. This 'non-image' is linked to the child and becomes a surface for projection, both figuratively and literally. The link between artist and subject is revealed, whilst simultaneously prodding the viewer to bring all his or her 'baggage' to bear on the image. From a different angle, one could posit that the blank image indicates that at first there was nothing, then there was the child. The name of the work (and the child) functions like a label, in which the act of naming is analogous to the act of photographing. Here, the portrait is an abstraction, a kind of visual classification. By placing Nina (xerox) adjacent to Nina (infant) the immediate need for a logic or genealogy presents itself. What we get are images of Nina, a child and an adult. What is left unaccounted for becomes an x in the interpretative system. 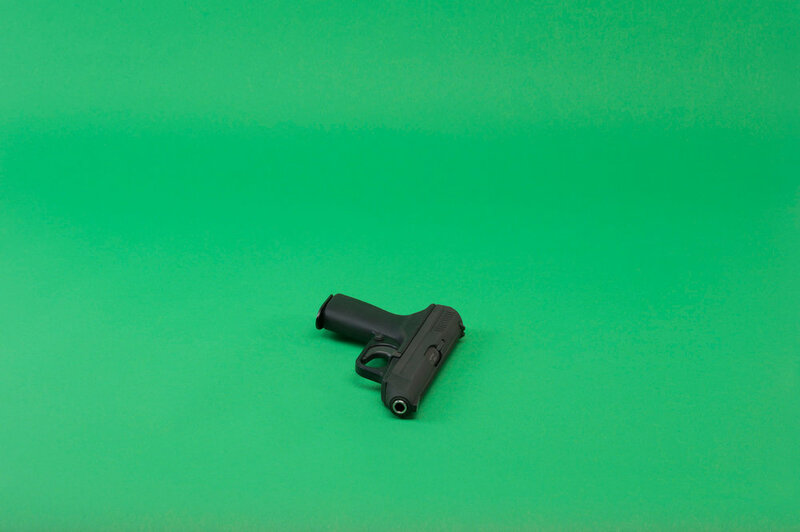 At the centre of the exhibition is an extract from a series of a handguns resting against a chroma green background, a green screen. 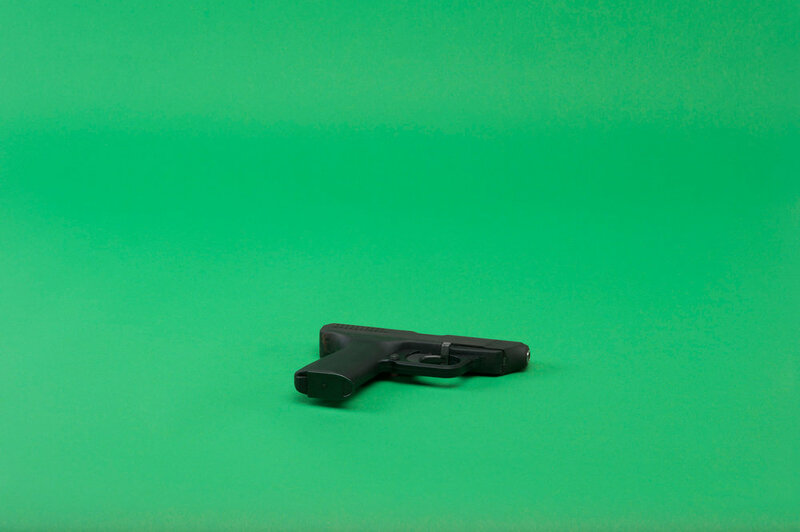 A green screen can conceivably contain anything, as post-production could place the gun in an infinite number of environments. 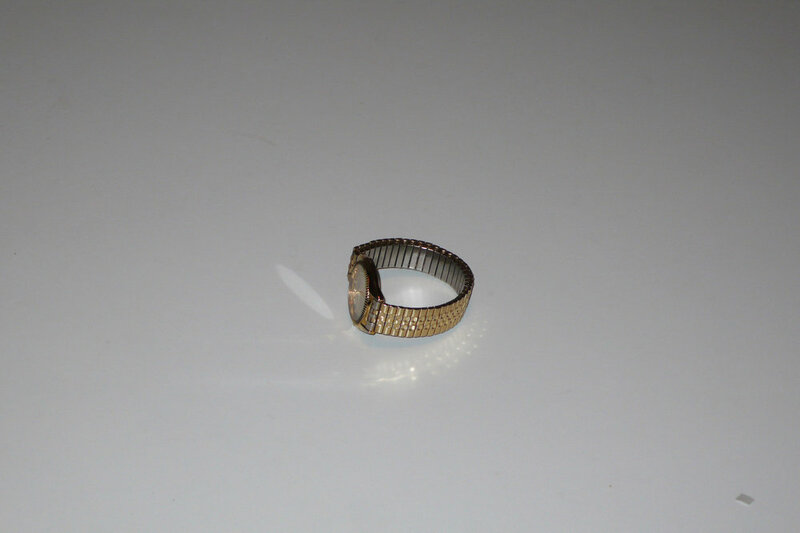 Thus, viewing these images could become a kind of editing process. At the same time, there is an unquestionable violence to these motifs. With the guns presented in life-size, Andenæs challenges the alleged freedom of the imagination. What could we possibly project onto this surface to suppress the obvious threat? The systematic approach visible in the serial works on display also point towards a different kind of violence: in order to avoid the chaotic and potentially destructive ambivalence at the heart of language and images alike, things are forced into categories, not based on intrinsic properties, but on superficial markers. Morten Andenæs' works could be understood as an investigation into the numerous and diverse layers at the heart of any reproduction. As exemplified in photograph of regulation window, they question how, and whether we could, conceivably talk about images themselves rather than what they depict. By his method of technically distancing himself from the subject such as in the portrait of the mother which has undergone several stages of reproduction, a tension is created. The green screens, the clichés and the various forms of copying are all different approaches in accounting for the gap between illusion and reality. At the same time they attest to the continued need to believe in images despite them being not truths, but rather windows onto what we see, or fail to, because of who we are.